WHAT IS the REP CT Movement and WHY am I doing it? I am a Rapper, Producer, DJ, and own and operate one of the largest blogs in Connecticut! I wanted to combine all these things and hear local artists REP CT! So I made this beat (Producer), then I scratched my voice on the intro(DJ), then I recorded my verse(Rapper). I am also sending the beat out to anybody who hits me up and shows support and look forward to hearing how other artists REP CT! Join the movement today! 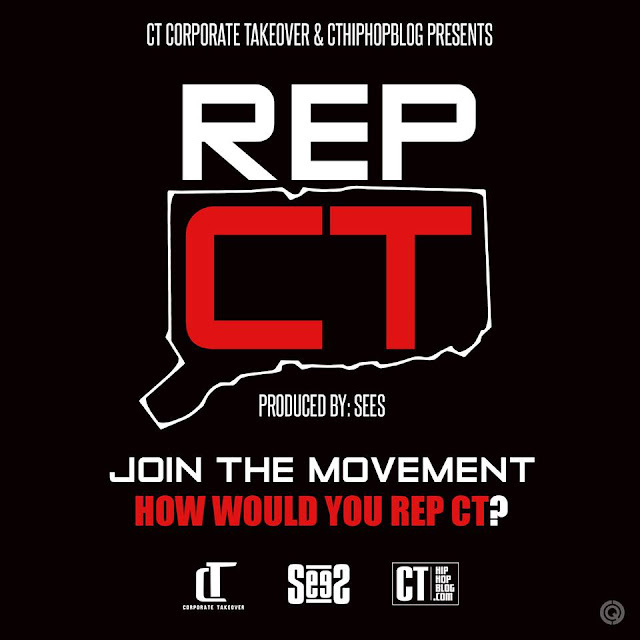 How do you REP CT? CONNECT WITH ME ON FACEBOOK.COM/SEES09 TO GET INVOLVED AND GET THE BEAT FREE!! S/O MCRE for joining the #REPCT movement! S/O GAMBIT for joining the #REPCT movement! S/O Twiin and Gen P for joining the #REPCT movement! S/O to I.N.F for joining the #REPCT movement! S/O to Maineiac for joining the #REPCT movement! S/O to SPLAT860 for joining the #REPCT movement! S/O to Smiley Jizzle for joining the #REPCT movement! S/O to Factah for joining the #REPCT movement! FNX - BRAND NEW VIDEO "HOMETOWN LOVE"
CT ARTIST: KING KY "SCHOLARSHIPS REMIX"